The smell of tea tree always takes me back to my teens. My very first cleanser was a sticky yellow concoction of tea tree and witch hazel which, while not particularly effective, did smell incredible! 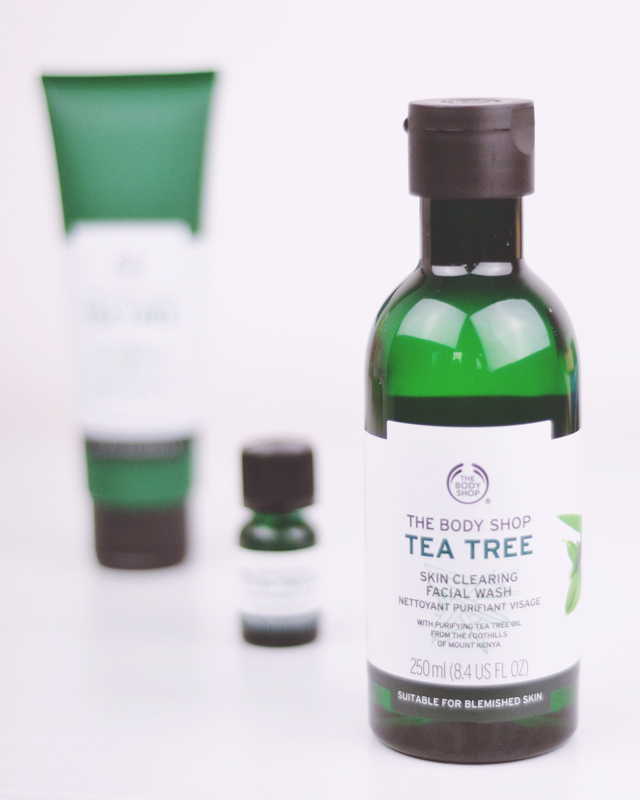 Tea tree oil is especially great at targeting blemishes which, as we all know, a far from a teenage-only problem so thankfully The Body Shop has a gorgeous tea tree skincare range with no dodgy yellow liquid in sight! Packaged in a 125ml tube, the Tea Tree 3-in-1 Wash Scrub Mask is a multitasking cleanser that works to unclog pores, minimise pores and reduce the appearance of blackheads. The product is a thick cream with kaolin clay and volcanic minerals as well as the tea tree oil that lends the product its name. Using this product, I found the exfoliants did make my skin feel refreshed and smooth, and it definitely felt cleansed. However, I do think that perhaps the 3-in-1 claim is stretching a bit. The instructions explain how to use as a cleanser- Apply to [damp] face in circular motions until the mud foams. Then rinse off- which is all well and good. When you look at the instructions for using it as a scrub, you'll understand my confusion- Massage gently onto damp skin in circular motions...until the mud foams, then rinse off. Is it just me or is that identical to the process for using as a cleanser? This wouldn't be a problem if it didn't say that you can use as a cleanser daily but only 2-3 times a week as a scrub. A little confusing! It's more of an exfoliating cleanser than a scrub and a cleanser. I also found it made my eyes water a little so exercise caution if you are sensitive to essential oils. This is the most beautifully packaged product! The deep green bottle is simple but I love the classic design which looks a lot more sophisticated than the previous look. The Tea Tree Skin Clearing Facial Wash is incredibly simple to apply with no extra preparation- just massage into the skin, rinse and go. Before application, the product has a thick, almost gel-like consistency with a slight green tinge. Once massaged in to the skin, it forms a velvety foam which gently soothes and tingles the skin, and is rinsed off to leave thoroughly cleansed, silky soft skin with no residue whatsoever. You can't go wrong with the classic tea tree essential oil. 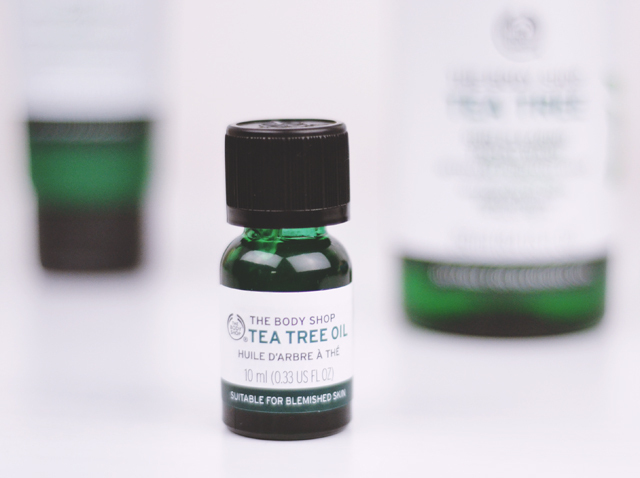 As The Body Shop Tea Tree Oil contains 15% oil, it's safe to apply straight to the skin with a finger or a cotton bud. With a safety lid, the small bottle has a narrow opening that makes it easy to control how much product is dispensed. On application, the oil feels slightly cooling and dries quickly without leaving either a sticky or a crusty residue. As you only need a tiny little dab for each blemish, the 10ml bottle will last a long time. The Body Shop is well known for their ethical approach to sourcing ingredients and this range is no exception. 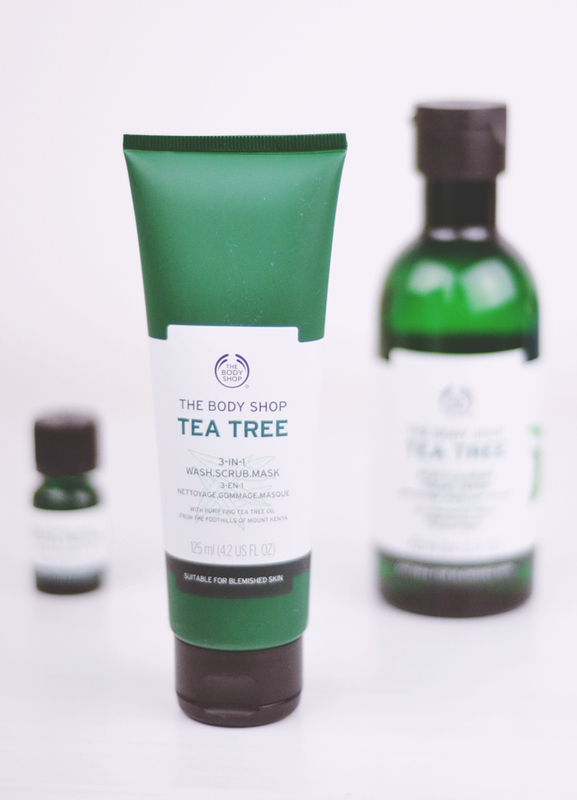 All of the tea tree used in these products comes from the Kenyan Organic Oil Farmers' Association, making sure the oil is both organic and fair trade. 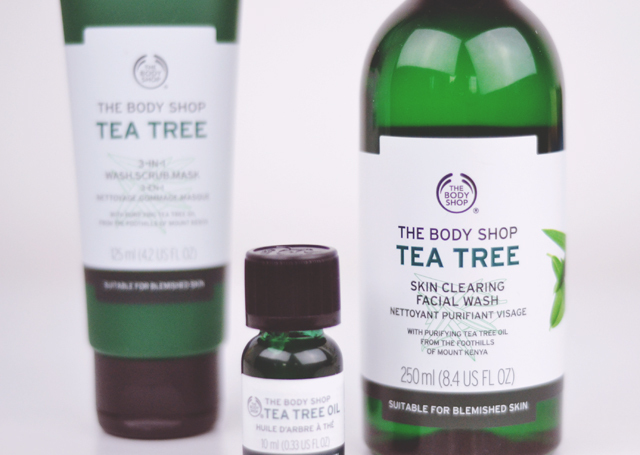 With the mantra Enrich, not exploit, The Body Shop is making a real impact with their products. Affiliate links used in this post. Products sent by Rakuten for review but all opinions are my own. Interesting, I'd perhaps try to 3 in 1 mask over anything. Btw tea tree always reminds me of piercing aftercare from my teens altho apparently it's the worst thing to use? Body shop do amazing products and they're always packaged so lovely as well, I am looking for products to help acne and tea tree is meant to be good for it so this looks promising!